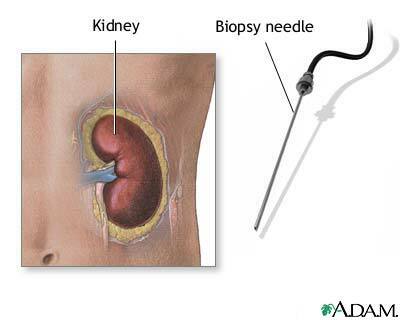 In renal biopsy, a small sample of kidney tissue is removed with a needle. The test is sometimes used to evaluate a transplanted kidney. It is also used to evaluate an unexplained decrease in kidney function, persistent blood in the urine, or protein in the urine.